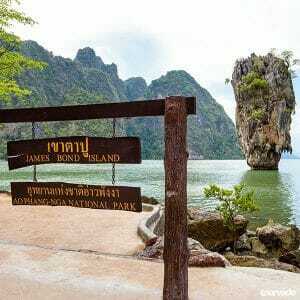 James Bond Island Tours. 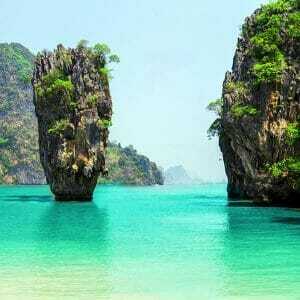 James Bond Island in Phang Nga bay is certainly one of the most wonderful Islands in South of Thailand. 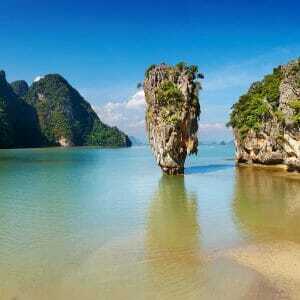 You can experience the stunning unique Nature of Phang Nga bay with this tours selection to James Bond Island. 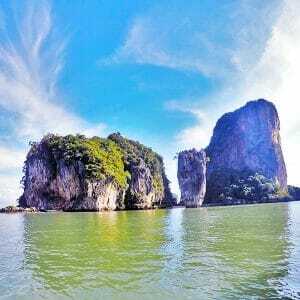 You will be able to fully enjoy cruising through this spectacular must see scenery of the beautiful Phang Nga Bay, you will be fully aware of it’s magnificent uniqueness’ only after a remarkable full day tour. All exceptional James Island tours to this Phang Nga Bay, one of Thailand most beautiful spots, are full day tours and they all made this amazing place become a tourist center and a really popular tourist attraction. After the popular James Bond Movie: The Man with the Golden Gun, which was shot on this Island in 1974, this famous unique place stopped being refereed as Khao Phing Kan and Ko Ta Pu but took a new name as James Bond Island. 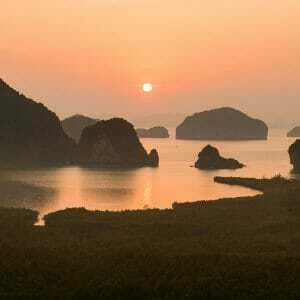 With our tours to James Bond Island you will appreciate the real serenity and calmness of this most beautiful region and Bay, after all you will even take a visit to the astounding Hong Island to have great fun canoeing among mangrove forest, you will take a visit to other pearl islands such as Khai islands, wonderful Panak island and more. James bond Island tours are always holding many beautiful mouthwatering offers and many highlights for all visitors. The most popular and visited of them all is of course the upright standing rock. This rock formation is referred to as one of the most charming and by far one of the most popular rock formations in the whole of Thailand, especially because it has a unique and incredible shape and always offers an amazing view. Enjoy this James Bond Island tours and grab the opportunity to engage and experience this different activities, water sports such as canoeing, swimming, kayaking, sightseeing, collecting extraordinary memories and photographs, living every amazing and breathtaking moments. The tours to James Bond Island are carried out via modern speed boat and large boats to help comfort and to shorten travel time, to extend the time you will use to fully enjoy all the different activities on the Islands you visit. 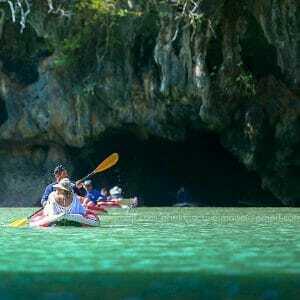 The James Bond Tour Packages or day trips will offer you a great and unique chance to explore this sensational lagoons of Phang Nga Bay islands, the passageways by the kayaking or canoeing will give you the opportunity to view in a new way all this spectacular sceneries, where secret lagoons meet amazing majestic caves. 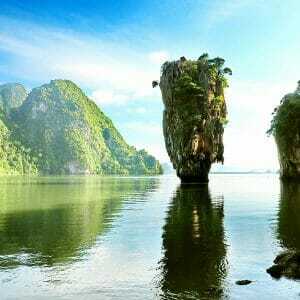 James Bond Island Tour is always recommended for family, solo travelers, couples, guests of any age, everybody who desire to get a true picture of the beauty of Thailand as a memorable escape day. What to bring along > Swimwear - Shorts & Light T-shirt - Light Deck Shoes - Beach Towel – Sunscreen - Sun Hat – Sunglasses – Camera.